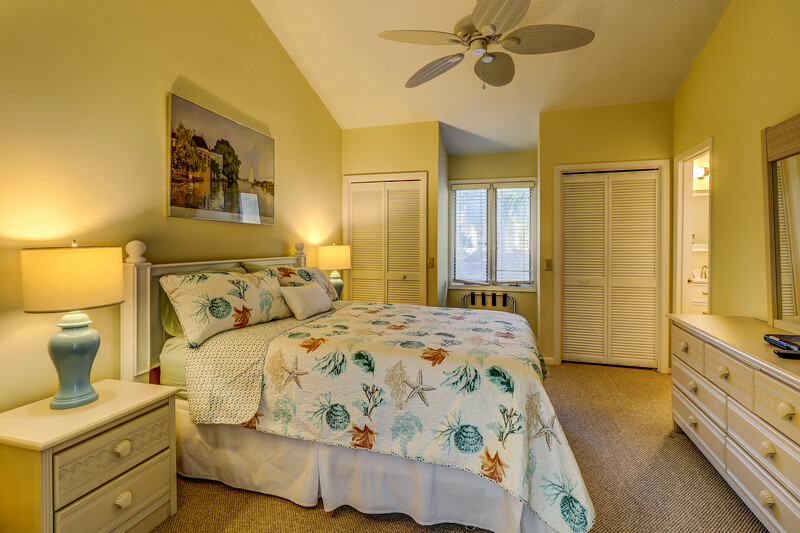 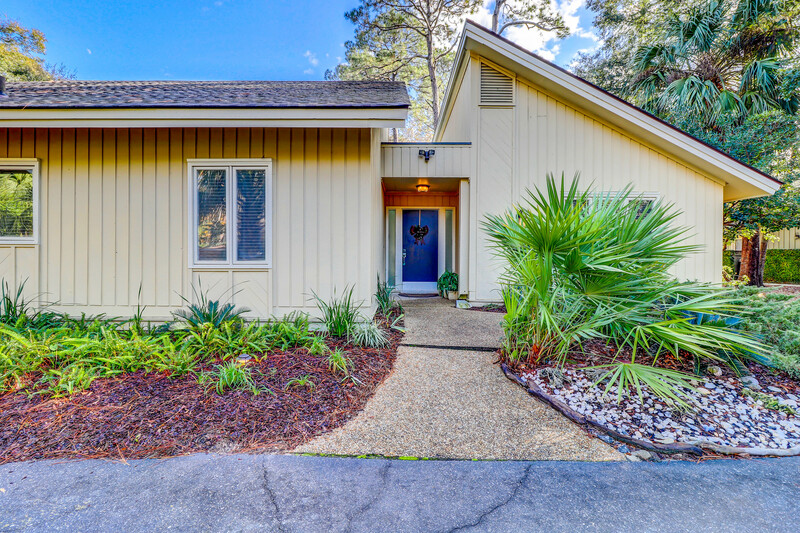 Coastal Retreat is a beautiful 3 bedroom, 3 bathroom home located just a short walk to the beach! 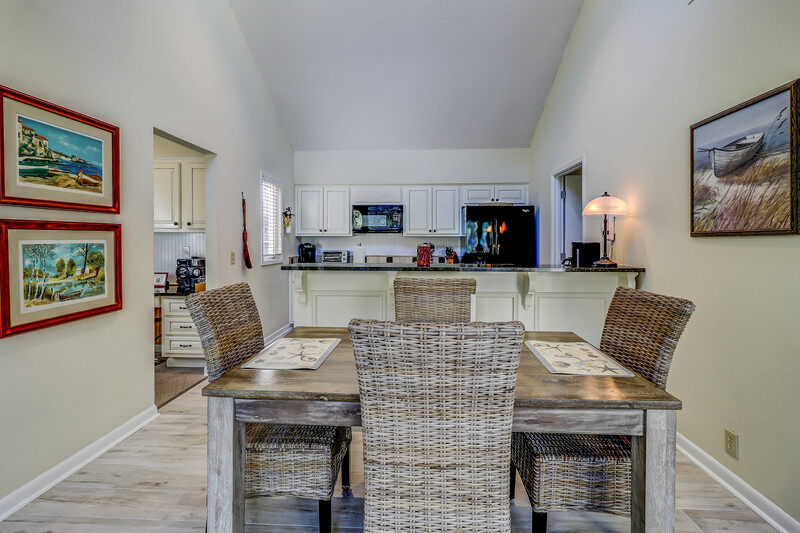 This home was renovated at the end of 2018 and features new flooring, furniture and 3 completely renovated bathrooms. 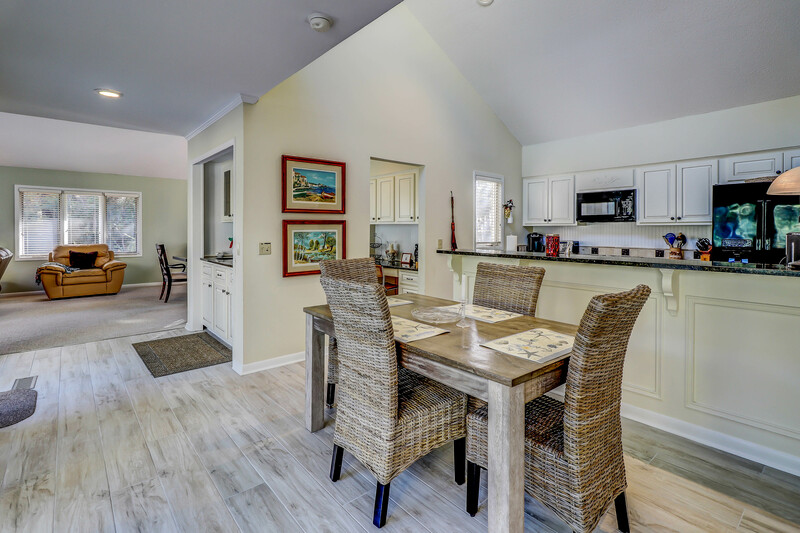 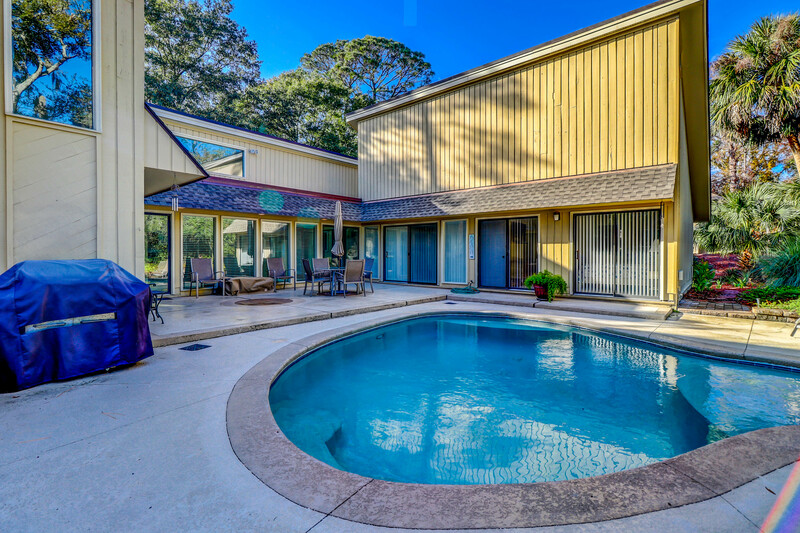 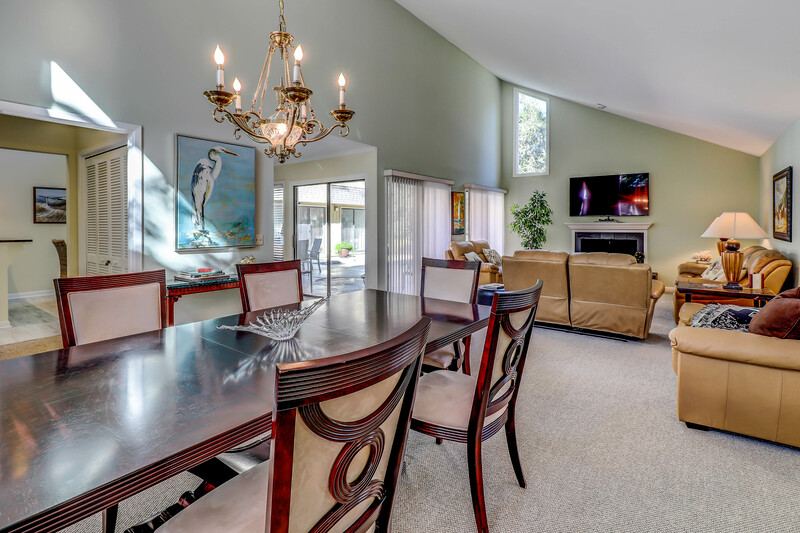 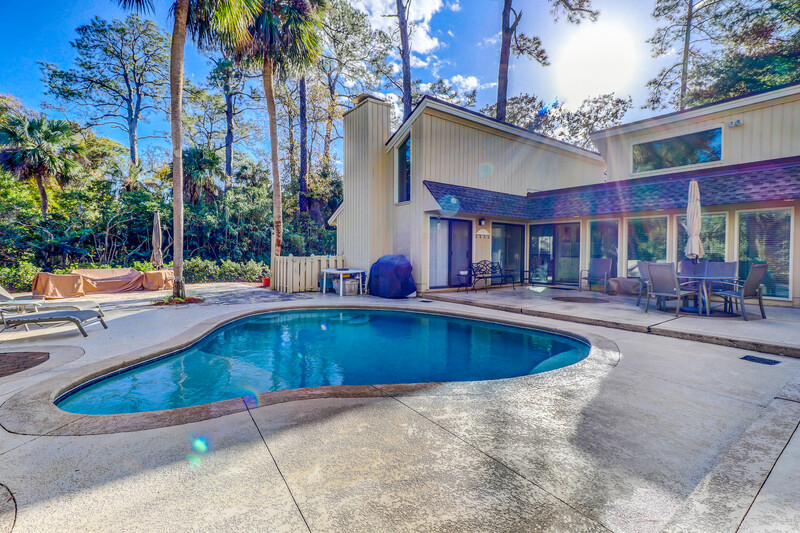 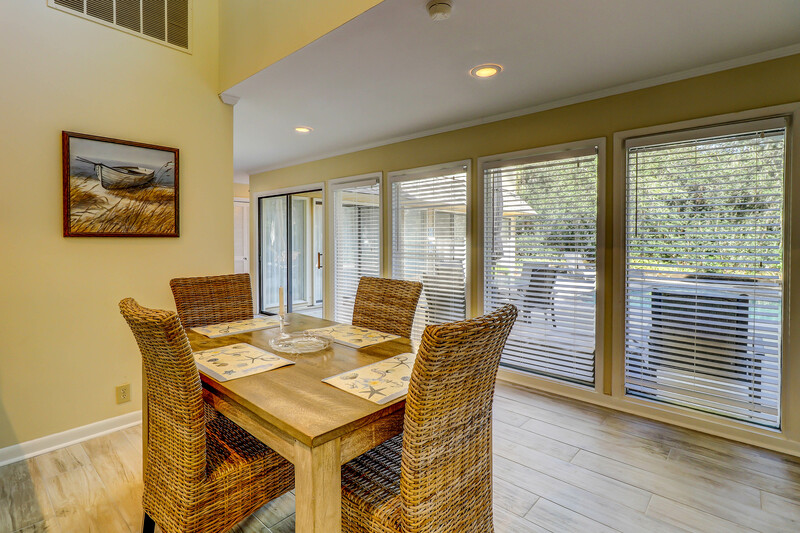 Upon entering Coastal Retreat you are standing at the point where two hallways meet and looking straight through windows and sliding glass doors surrounding the pool. 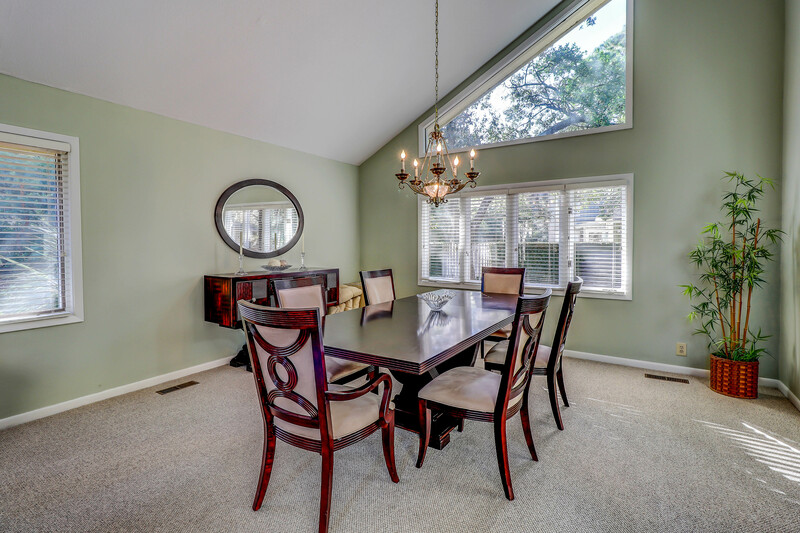 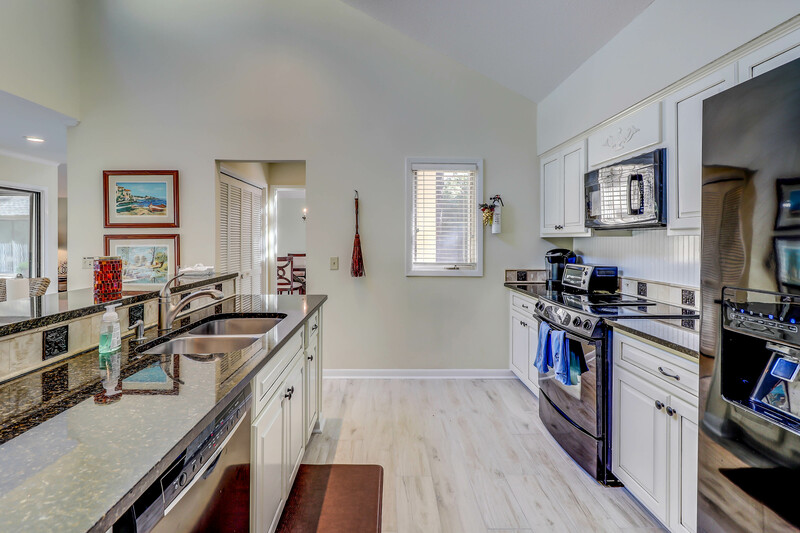 As you walk down the hall, you will find the kitchen on your right with breakfast table overlooking the pool. 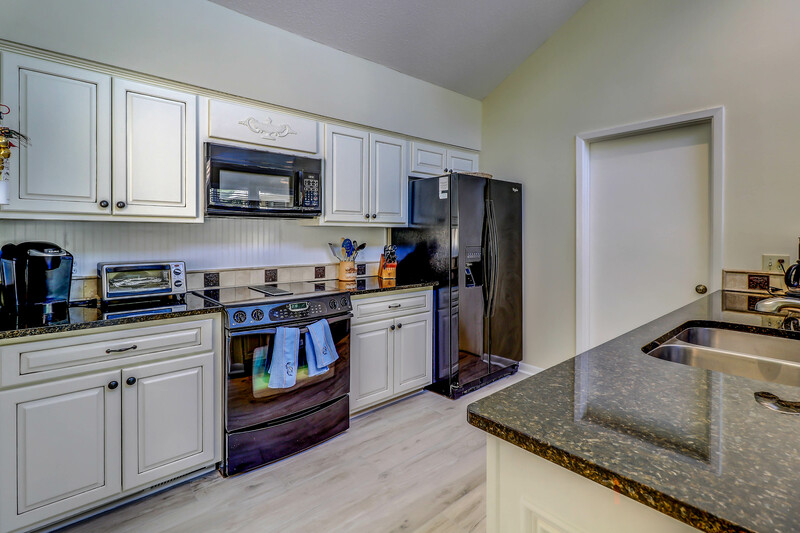 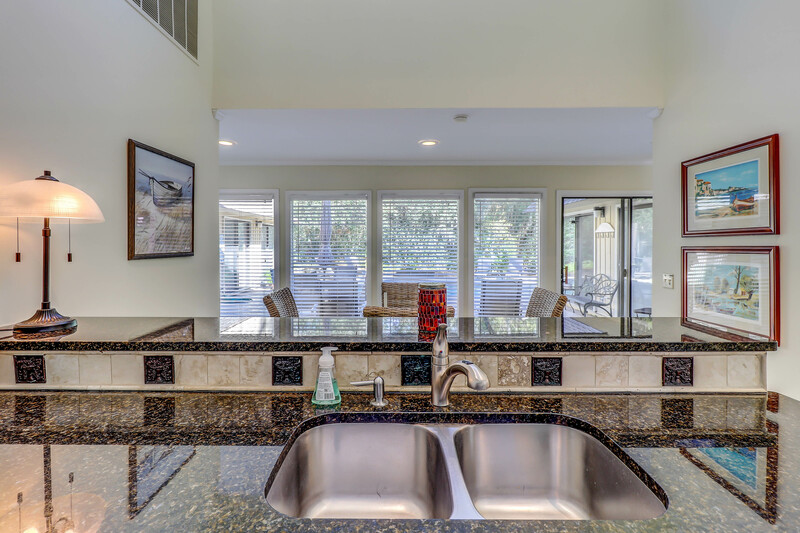 The kitchen features granite counter tops, black appliances and plenty of cabinet space. 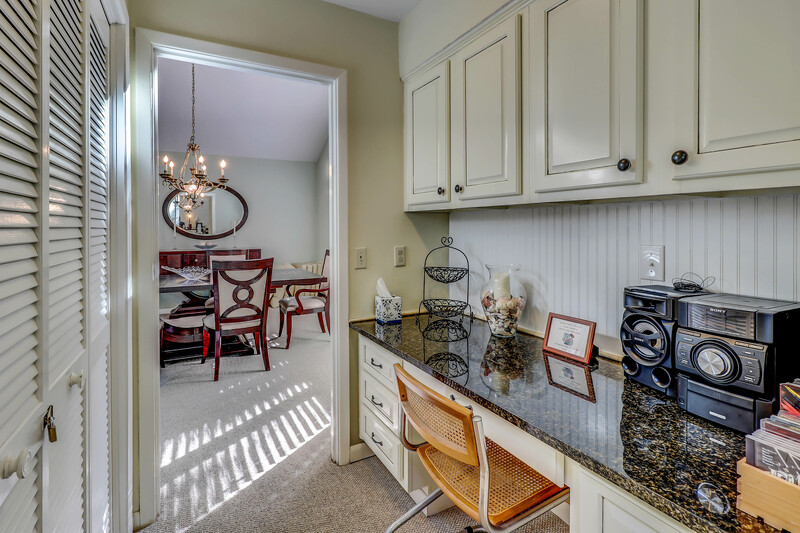 Just past the kitchen is the wet bar that opens to the formal dining area that is also open to the living area. 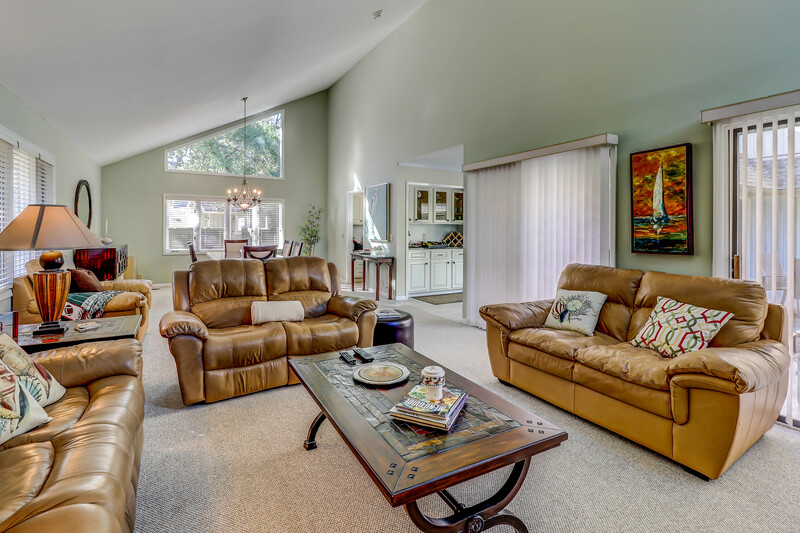 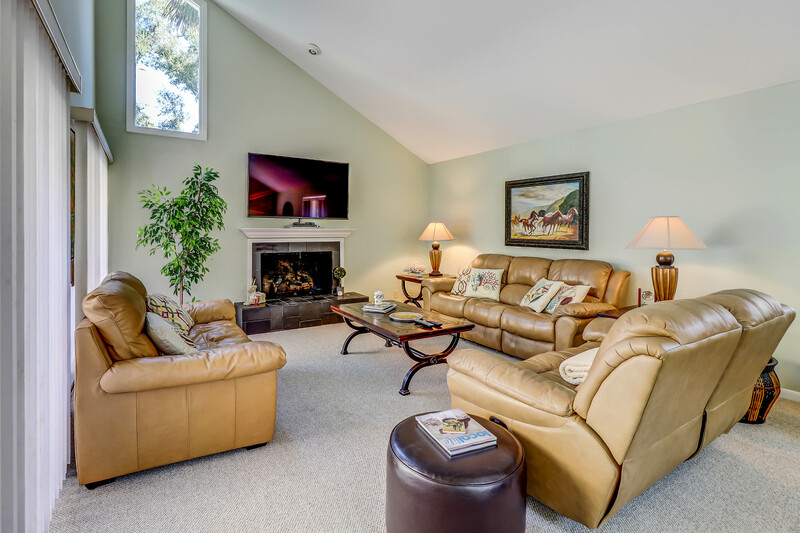 The living area is bright and surrounded by windows on both sides with a 52" mounted flat screen TV. 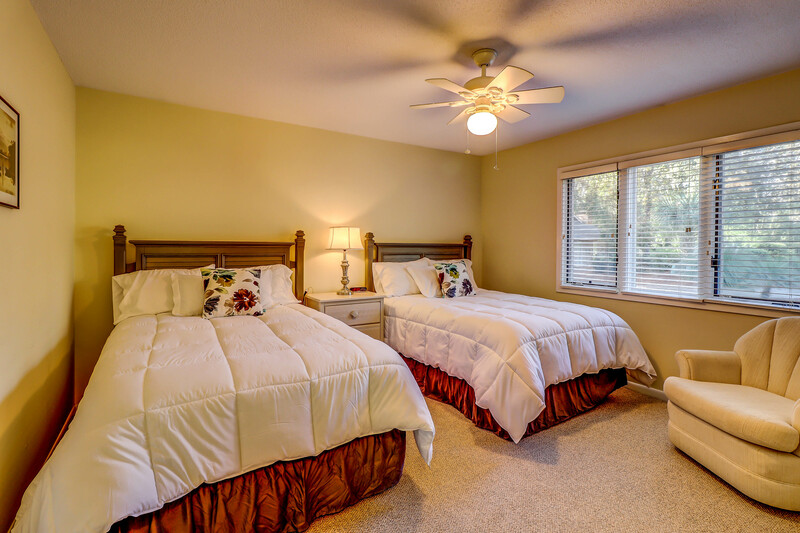 The first bedroom is located on the right as soon as you enter the home. 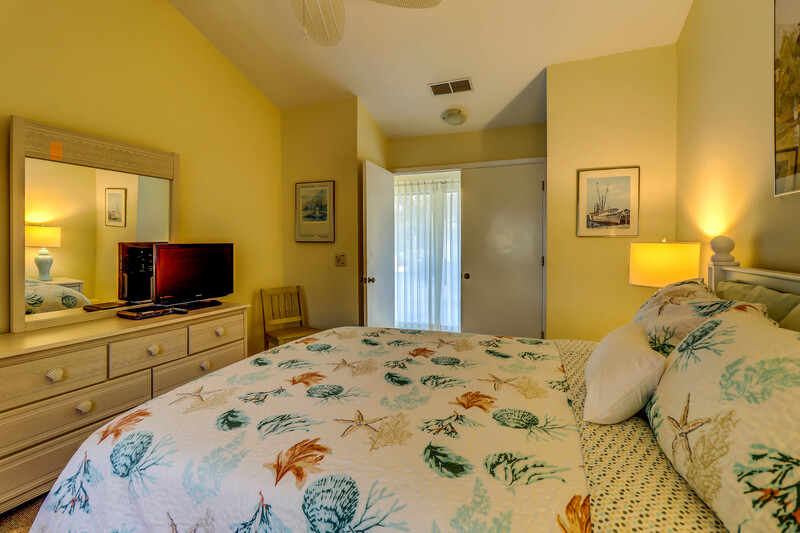 The room has a king bed, TV and bathroom with a large walk-in shower and new vanity that also has access from the hall. 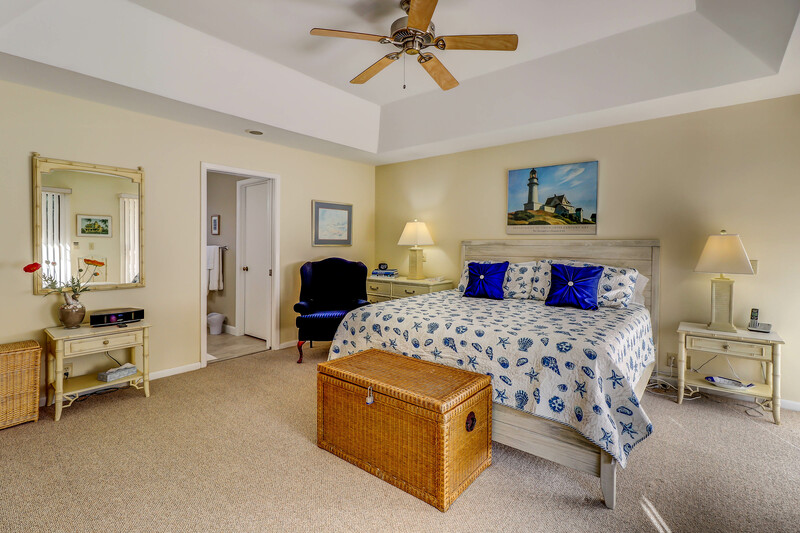 Down the left hallway, you will find the other two bedrooms. 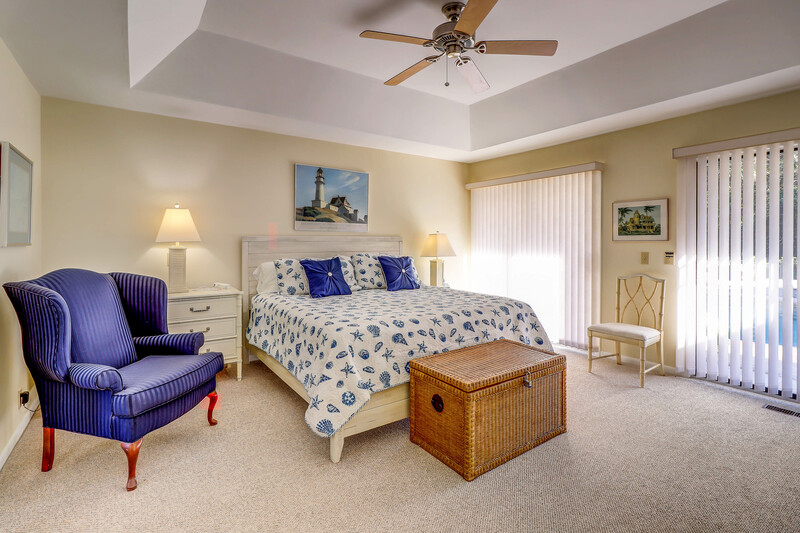 The first has two double beds, 27" flat screen TV, and a private bath with tiled tub/shower combination. 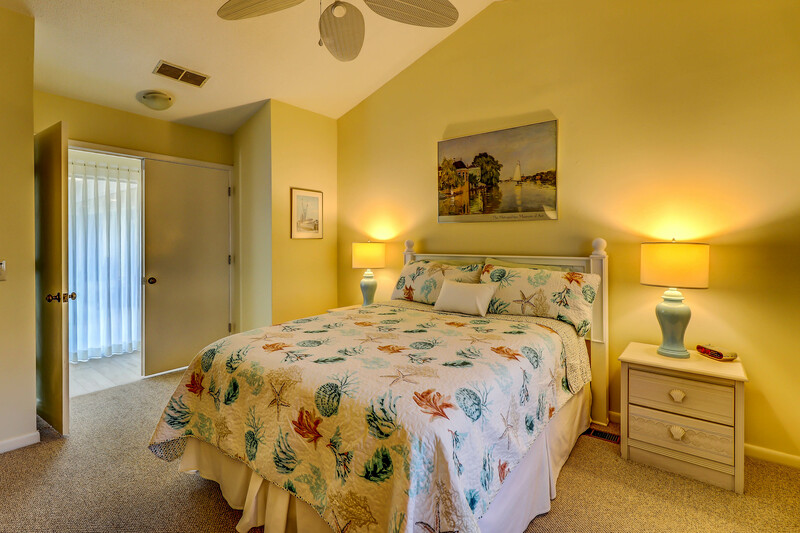 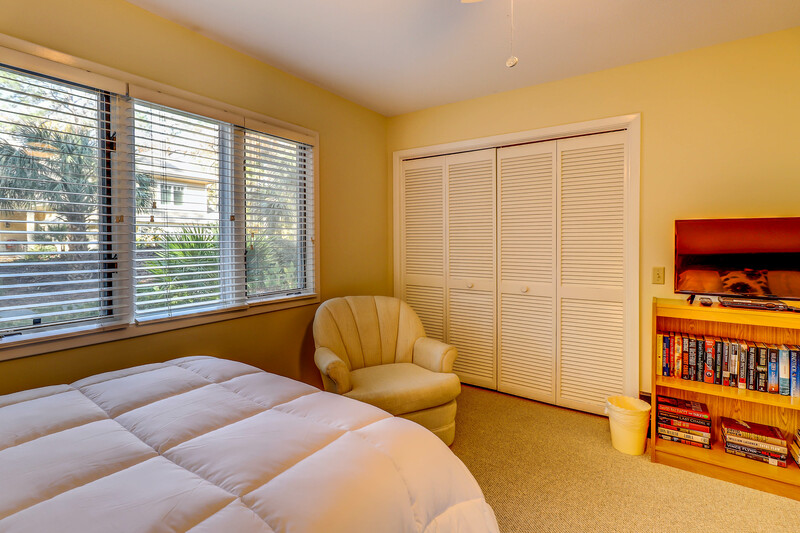 The master is located at the end of the hall and has a queen bed, flat screen TV, and private bath. 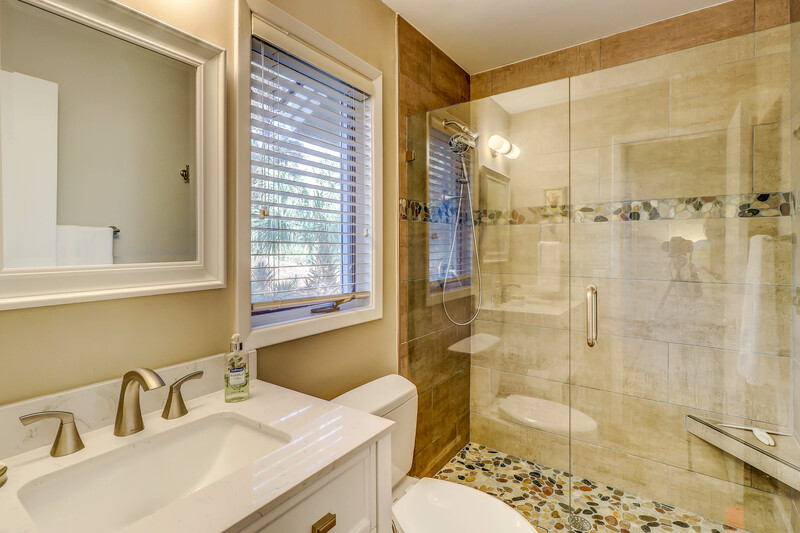 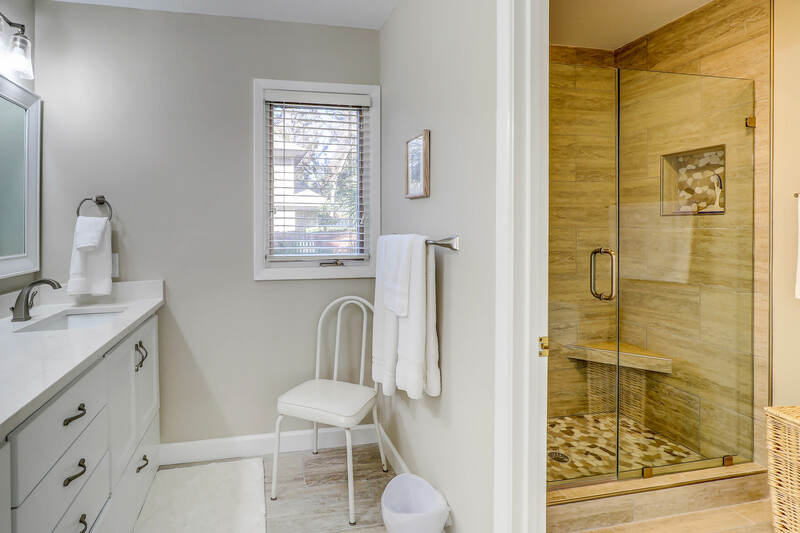 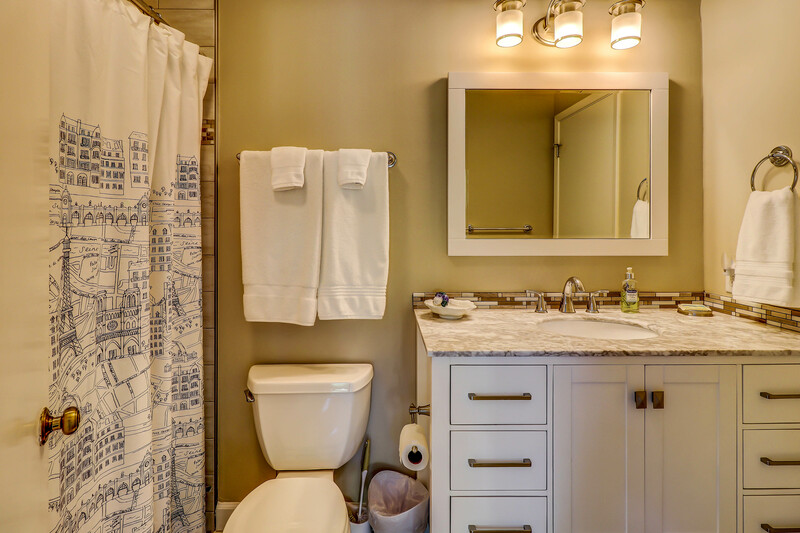 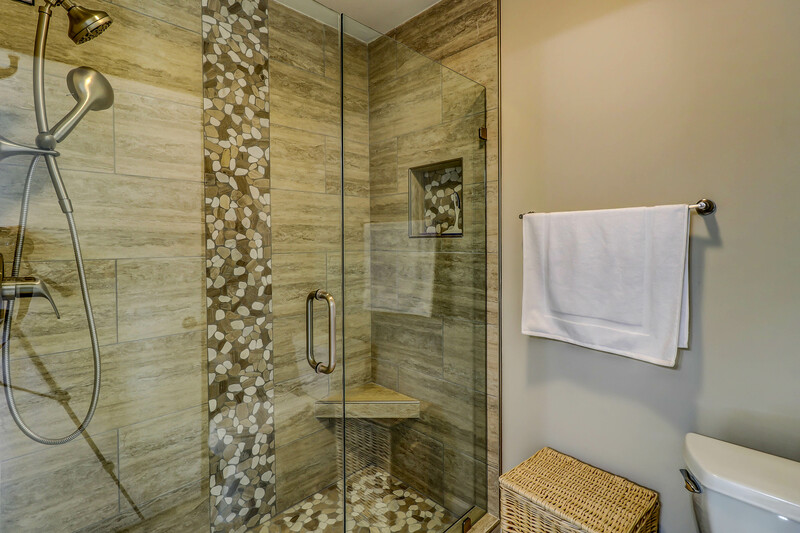 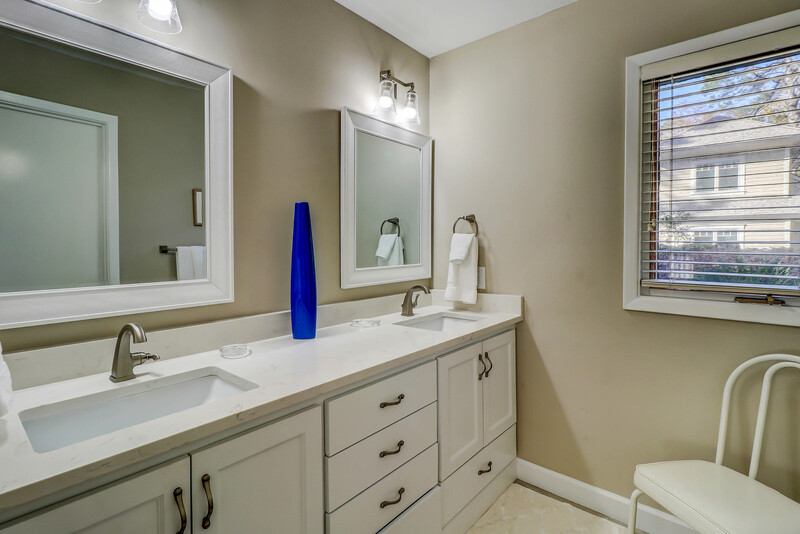 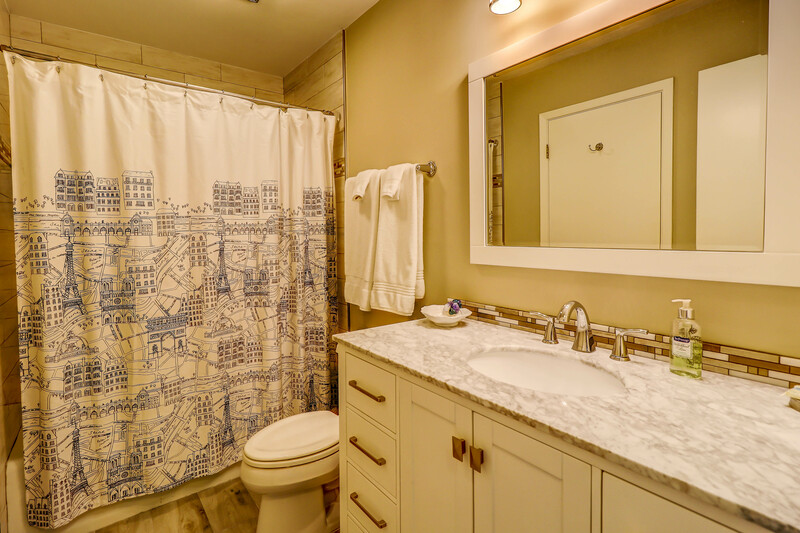 The bathroom has double vanity and a large walk-in shower with pebbled flooring. 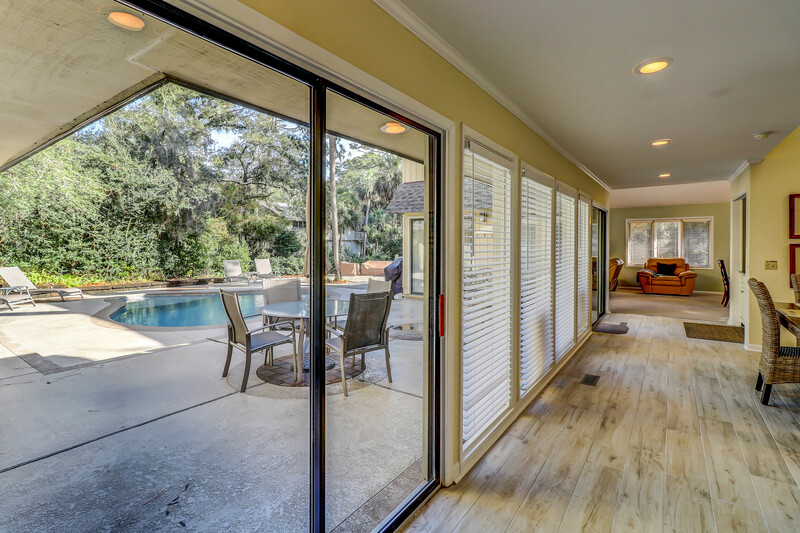 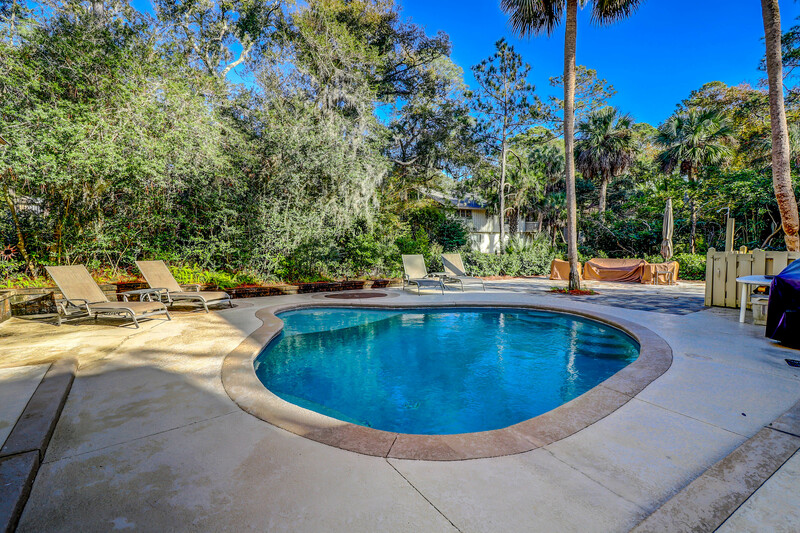 The private pool is located in the center of the home and can be accessed from sliding glass doors in several locations. 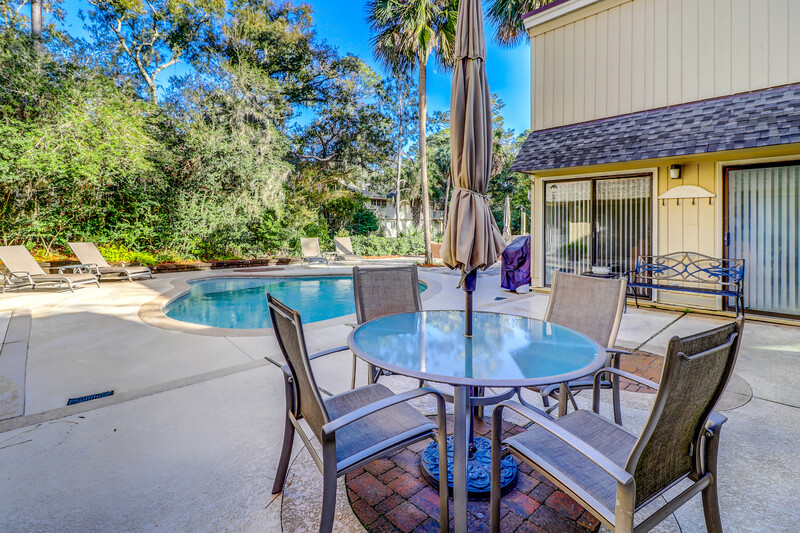 There are lounge chairs surrounding the pool and a gas grill for the perfect vacation cookout!